Room 307/40b (lab): I’ve polished some textures and 3D models (nothing really major was needed since my first revision). And I also touched up some light positions and intensities here and there. 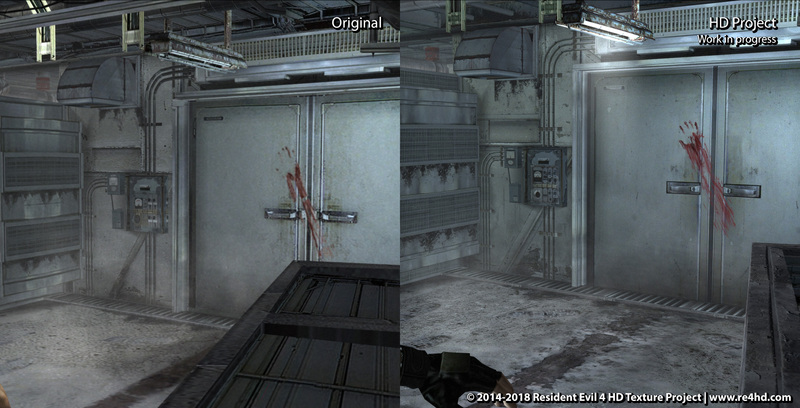 Room 308/40c (freezer): Similarly, just some texture refinement here and there. I gave a lot of extra detail to certain pipes and I relocated most of the main light sources in the room. They made no sense at all. The entire place was lit but there was apparently no flourescents on. So I applied the typical bloom effect on the flourescents and I relocated the light sources to the position of the tubes. (In fact, the original light sources were close to those fluorescents, so I guess the developers were in a rush). I’ve also fixed the darker bands you can see at the right and left of the screen before you deactivate the cooler machine. It seems the cold effect didn’t cover the entire screen and I simply made it slightly bigger. By the way, do you remember the infamous reddish filter I’m getting rid of, right? It also affects some explosions like the red metal barrel and the bombs with cables. A reddish filter pops-in and out and it covers the entire screen during the explosion. In the Gamecube version, that filter made the fire more intense and immersive, but it’s broken in the HD ports. I’ve replaced that broken filter with a nice bloom effect that also makes the explosion more intense. You’ll notice the same reddish filter popping in and out when the Ganados throw the dynamite, for example. All of them can be fixed! Just for the people who are interested in technical details: Every room’s *.udas file contains the same item models repeated again and again… And the same can be said for their textures: Every room’s *.pack file has the same item textures (ammo, herbs, treasures, etc.). These models and textures are used when you pick up an item during the gameplay. (The examine and the inventory/store models and textures are stored in other game folders). Just imagine the amount of extra disc space needed to remaster a single item texture if it’s repeated in every single area of the game! Well, this is how this game’s file structure was created. Fortunately, I’ve killed two birds with one stone. Thanks (again) to a new tool by Son of Persia, (our inestimable coder contributor) the item model replacement process was automated. And these new models (even though they are stored in different room *.udas files) will now always call to the same texture. We decided to store these textures inside the 07000000.pack file. This makes things much easier to mod: if we edit one of these item textures inside the 07000000.pack file, it will affect all stages at once. Before that, it was necessary to edit or update the same texture as many times as the number of rooms the item appears in. That was crazy! 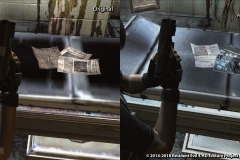 This entry was posted in Progress Updates and tagged re4 hd, Resident Evil 4, resident evil 4 hd, resident evil 4 remake, resident evil textures. Bookmark the permalink. Superb work as usual. Love how you were able to just use the high poly models already in game and swap them with the lower fidelity ones. Great time saver! Love the updates please keep them coming! I do think the pop in filter should be bright, but slightly more orange in color to support the color of flames. I touched-up it 🙂 I’ve replaced the gif. Thanks again so much Albert, Cris, and inestimable coder contributor Son of Persia. Years after years of watching the blog, there’s a part of me that’s afraid I’m enjoying the blog and updates more than the actual game itself. Regardless, carry on brave men! 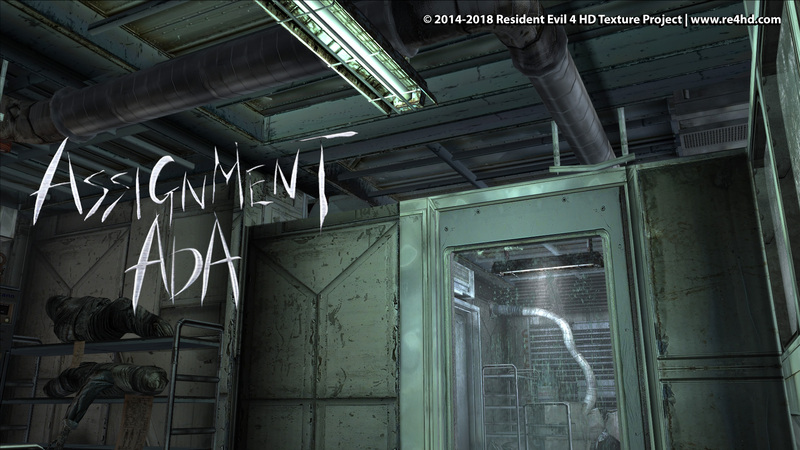 Onward for one of the best fan HD projects of all time…dare I say best? Estoy asombrado del nivel y del mimo que estáis poniendo en este proyecto. ” if we edit one of these item textures inside the 07000000.pack file, it will affect all stages at once. Fue lo que hice :,v Como me hubiera servido bastante eso antes, pero bueno si llego a hacer un update de mi mod me servirá bastante, gracias. 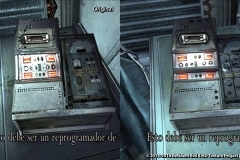 Con respecto a los cambios siempre me han encantado en especial el detalle de las notas, las cuales ahora coinciden con lo que se muestra al tomarlas, esperare el siguiente update. Nice to see you gys are progressing fast but can you tone the bloom explosion filter donw a little bit? I find a little overdone. Agreed. In the gifs you posted, the bright bloom you added to the explosion appears too intense. I’d recommend dialing it back a bit. Is it possible to add that bloom effect as an optional install once you release the full version of your mod ? A fullscreen flash effect like that isn’t epilepsy friendly and it’s one of the types of effects i try to avoid when playing games. I would be really sad if i couldn’t play this mod because of one altered effect. As always, i really love the other work you have done. The higher poly models of the pot and gold are really nice looking. Great as always. Lol at the third image, DiGiorno and Campbell Soup…why would they keep food in a room of frozen experimental corpses. For a nitpicker like me, it does look a little out of place, are you sure they’re not supposed to be something else, like medicine? The effect of light from the exploding barrel is also nice, but I do think it should be a warmer glow, more orange than white. It looks more like a camera’s flash than light from an explosion. 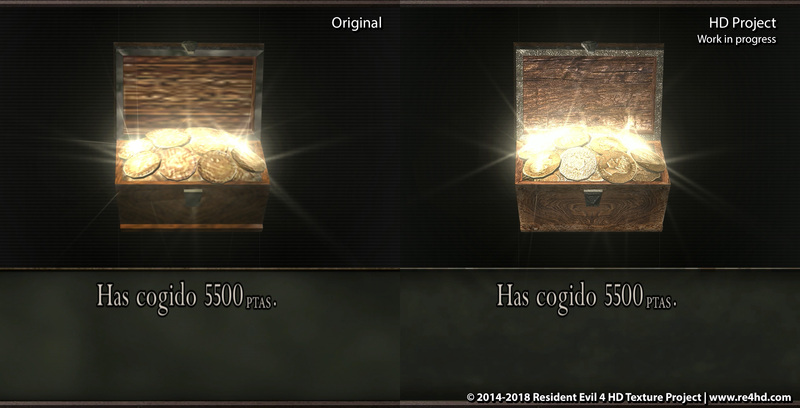 The item models are very detailed especially the peso case, you can almost read the words on the coin, nice touch. I’ve played this game hundreds of times and it never gets old, I haven’t touched it in a while and won’t until you guys finish this project and I can play it on a true HD experience. 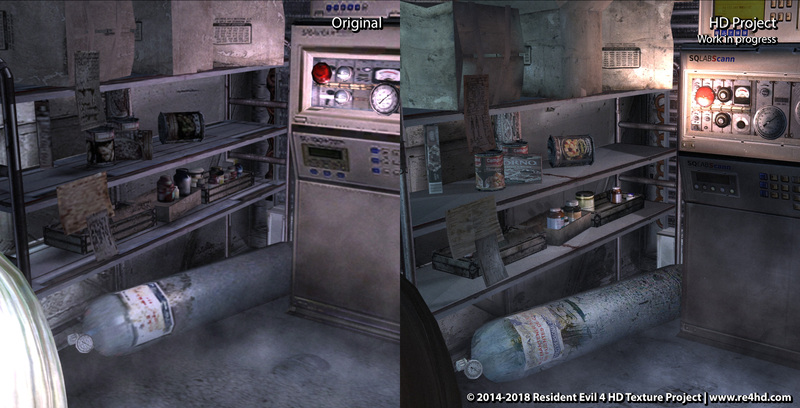 And yes, the original textures are food packaging/cans for sure. We probably will change some of them anyway. “Peso case” XD It would make sense they are pesos because it matches how the villagers talk, right? So, I don’t know if someone asked yet, but what happened to Cris? Isn’t he in the project anymore? 1. Toward the end of 2016 I was told my job was being eliminated. 2. I scaled back my time on the project due to needing to complete professional certifications and look for a job. All of this is to say that my time on the project has paled significantly in comparison to Albert’s in 2017. He has done an amazing job of carrying the project forward and making enhancements we couldn’t have imagined in the beginning. He has also been incredibly gracious with my changing circumstances. Hey, it’s good to know you’re still here. Thanks a lot for all your efforts and I wish you all the success with your life, with your family and with your job. Thank you, I’ve been following you guys for a few years now. Glad to get an update from you 🙂 seems like the project has been moving along decently without you, but can’t wait o see what you can add when your back! Blood is too bright. It look like not realistic. Dark blood always looks more scary. The colour of blood depends on if it’s dried on the surface or not. Also the amount of oxygen in the blood. For example, carotid blood is really bright. Now I’m realizing he was talking about the blood in the floor in one of the pictures, right? I thought he was talking about the look of the blood in the entire game. Yes, I’m talking about blood on different surfaces. Bright blood – someone is hurt few minutes ago. Dark blood – someone is dead, without a doubt. Had to see the explosion effect in the video to actually agree with the change lol, it looks epic! Great job guys! It is in the video. The oxygen tank uses the same bloom effect. Magnifico trabajo, el area de los regeneradores siempre me parecio una de las más terrorificas! les llegó mi mensaje con las imágenes de los diferentes tipos de munición? Si! Muchas gracias! No recibiste la respuesta?? Increible trabajo. Como siempre, mucho cuidados en los detalles. Solo tengo una nota: La piel en el cuerpo de ISLAND_REV_2_G.jpg se ve algo rara, lleno de lineas que hacen dificil distinguir dicho cuerpo de la cosa que lo envuelve. No estoy seguro si se veria diferente desde otro angulo. The screenshot of the dead guy in the bag with the parasite sticking out could use some polishing up still. There needs to be more contrast between his skin and the bag thing that he’s in. They just blend together right now. 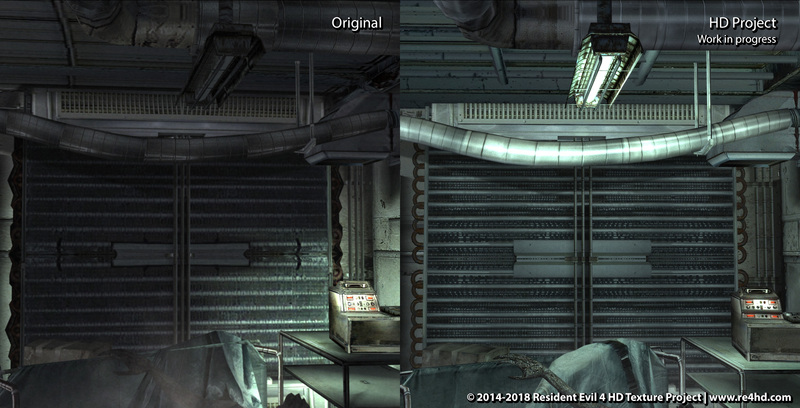 Also, the regenerators in the background of that same picture look too different from the original. In the original, their skin looked more fleshy with shades of pink. In the update, it looks more like they’re made of stone. I have to agree, almost everything looks wonderful, but that man in the bag just seems unfinished to me. I actually don’t know what the bag is intended to be made of, and have considered that it’s perhaps a bio-weapon coccoon or something like that. 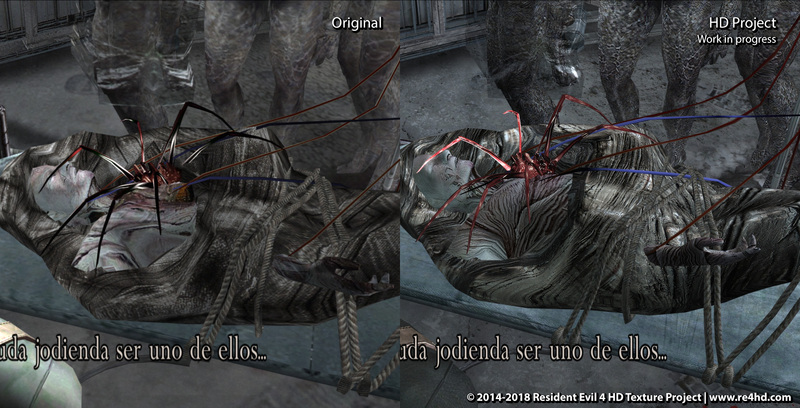 The job of you at Resident Evil 4… i only have a word to describe it, EXCELLENT! You are amazing! 1.Are those can from real life? pay you guys royalty and port it to like Playstation 5 in the future? 2. Serry, we have no idea about what we’ll do after this project is over. 3. We were already in concact with them in the past but everything arrived at an impasse. The ball is in their court. If they decide to do a proper remaster of this game, they’ll think (at least) about our project. But Capcom won’t do a proper remaster just because we are doing this project. Muy buen trabajo. Estoy deseando que llegue la remasterización de personajes y enemigos. Sobre la Llave insignia, he notado que tiene unas partes redondeadas mientras que en la original acaban de forma puntiaguda. Y en la Máscara elegante, los adornos puntiagudos que tiene en la parte superior son mas numerosos y mas finos que en la original. Tenía curiosidad por saber el motivo de estos cambios, que no digo que estén mal. ¿Es porque los modelos de Examinar son así? Si es por eso, ¿vais a unificar las diferentes versiones de los modelos de todos los objetos para que tengan solo una? Exactamente ese es el motivo. 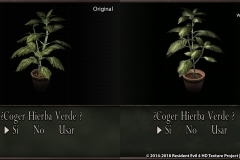 La versión “Ingame” de los objetos eran más simplificados por el simple motivo que la Gamecube no podía soportar tantos polígonos a la vez (escenario, enemigos, personajes, objetos, etc…) así que los simplificaron para ese contexto. En PC no hay necesidad de dicha simplificación así que simplemente hemos tomado los modelos del modo “examinar” o incluso hemos mejorado algún detalle más. La única limitación que hay es en el inventario. Ahí, por cuestiones técnicas que desconocemos, si que hay ciertas limitaciones de polígonos. 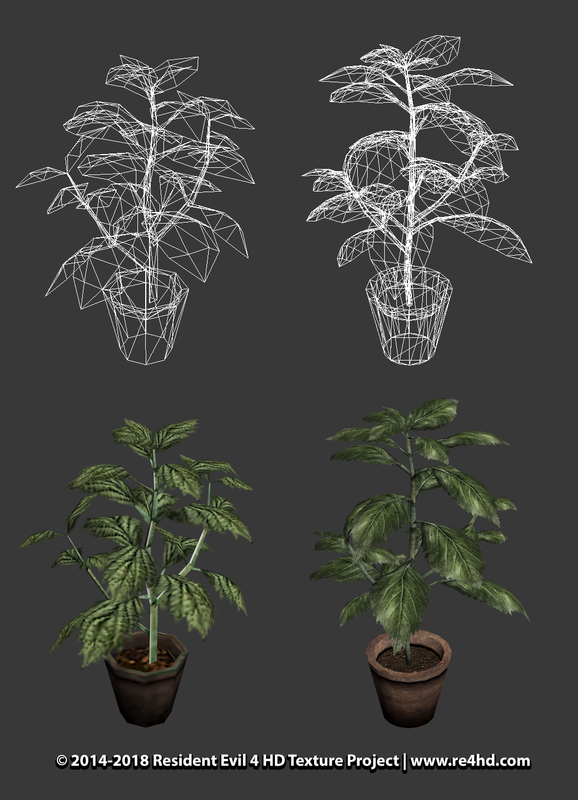 Aun así se han podio realizar muchísimas mejoras (puede apreciarse en los últimos videos, en las hierbas, granadas, sprays y otros objetos del inventario que ya no tienen ese aspecto tan cuadriculado y falto de detalle 3D que tenían antes) y de hecho no es necesario aplicarles más detalle porque los objetos no se ven de cerca. By the way, when we can expect update with revised enemies? I have some personal issues with the new examination items. Progressively, the scope, chest, gold bars and mask look worse than before in my opinion. -Scope: It looked smooth before, like made out of metal or at least, smooth surface material. Now it looks as if it has a leather texture on it, completely destroying the shape. -Chest: While the overall texture looks higher res, it only becomes more apparent that the fine wood texture doesn’t fit the chest at all. Specially if it’s going perfectly symmetric at the middle. -Mask: The Inner part reflects too much. Mask: Agree!! And there’s a small mapping issue in the center of the back surface too. I just need to adjust the specular values. Also, that texture will be improved. Thank you for the feedback as always!! Yeah, I noticed the scope’s new layer of glass. It looks great actually. Cool trick. That seam definitely has to go, at the very least. But I also hate the original texture of the chest. It seems like a toy chest to me. Couple of finewood planks hammered together to form the whole. The more the wood supports the actual structure of the chest shape, the cooler it looks. F.e. the direction of wood, needs to follow horizontally mostly. The side framing (extruded slightly) of the upper part, vertically ect. I read, during my education becoming a game designer, that you should mostly NOT use a diffuse map’s lighting’s value as a base for bump or normal maps. That’s why enb’s forced normal maps and Crazybump generated ones look so bad. Professional texture artists paint over the original texture in black in white from scratch in order to let the bump work 100% correctly. In modern games, the diffuse is actually one of the flattest looking texture of all. While the bump looks like a heightmap, different, more following the ‘non-existent’ contours. “And there’s a small mapping issue in the center of the back surface too..” I noticed. It’s difficult to imagine the back side and how it’s supposed to look. Definitely I’ll do my best with that chest. It’s one of the most recurrent items in the entire game. So it deserves some extra love. About “using the difuse texture as base” I meant I take the difure/regular texture and I apply all needed emboss filters in both RGB and alpha channels with different angle emboss directions. The results are always grey textures and they are exactly like the original bumpmap textures… but higher resolution of course hehe. Ah, sorry I was wrong! Yeah, I would love a more eye candy looking chest. Dunno, I have a special interest in functional vintage clutter and accessories. I might become a hoarder like my stepdad someday. I really like how it looks now. What do you think? I’m talking about Shadow Of The Colossus that released today on ps4. I have a copy of both of them. pcsx2 emulator and ps4. So it’s not a matter of nostalgia glasses. When viewing the original, you’ll notice the mystical fog, bloom and colour palette effects and the grim atmosphere. They were no choice made out of hardware limitations, they were artistic choices. All in all while Bluepoint studio’s has done a great job improving the assets their fidelity both in geometry, texture and improve the fluid-ness of animations, I can’t help but to notice that they broke the tone of some cinematic sequences. f.e. Look up the intro cinematic for both ps4 and ps3 version, you’ll see what I mean. I’m just glad you didn’t mean the RE1 remake. I think it would be hard to remake a game better than that. I never got to play the original Shadow of the Colossus but have been considering it for years. I didn’t even know they were remaking it. It’s hard for me to tell from the videos what would be better about the PS2 version because for once, they seem to have been very faithful to the source material in this one. It looks like a remaster but where they went in and made everything from scratch. I almost responded to one of the comments there and I think it may have been yours. Something about animation offsets, which was a term used in the comment to describe what I had always known to be called root motion. It might have been me. There are multiple people who noticed it. The root motion being feeling choppy in the original. 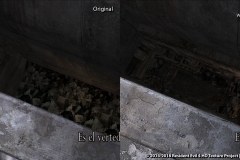 (2005 version ran at 15-24 fps) Bluepoint has made animations run at 60 fps and smoothed the player’s step offset / root motion out. Yes, they have been very true to the original. But not enough. The game originally had a very specific impressionistic style to it that they didn’t carry over. I see what you mean to a degree. I think I would have to have played the original to comprehend it fully, though. 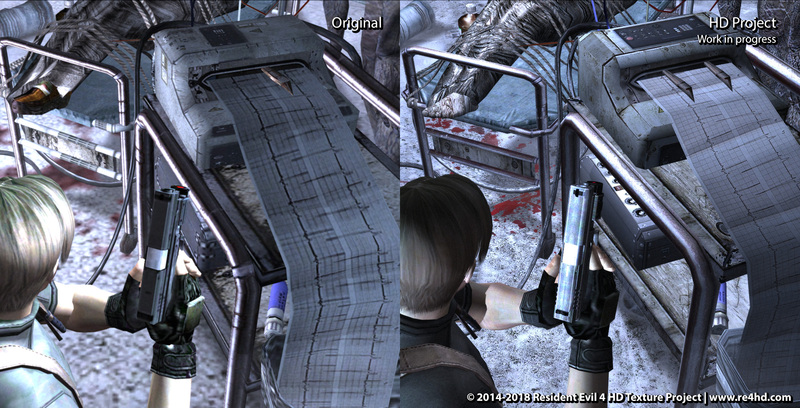 It reminds me of the way I felt looking at the remasters of the RE1 remake and RE0, which to me in most cases look worse. The graphic fidelity is higher but the artistic intent is not regarded in making the changes and the games both look less cohesive than what they were remastering. I don’t think the SotC one will be as bad as that, with all the effort they seem to be putting in, but I imagine it’s a similar feeling for a fan. I didn’t want to say anything but that kind of bothered me as well, and now the chest looks wonderful. On the subject of normal maps and bump maps, there are a lot of methods and depending on the diffuse/albedo map in question, sometimes it’s perfectly viable to feed it straight into a software that will generate the map, other times turning it greyscale and maybe automating some adjustments works, sometimes the second method works after doing a bit of manual modification, and finally, painting a heightmap from scratch is always available and frequently looks the best. The problem is hand-made heightmaps are very time-consuming compared to automating as much as possible, and the pay-off may or may not be worth it. It is worth it. Yes, very time consuming as everything related to art. But you could always have an additional lower layer that has the diffuse as template and draw over it in order to speed up the process. When you’re done with the texture you remove the layer or merge everything together. Things that started as trail and error will eventually become something rather easy. When it comes to fill in blanks, that’s another story. What I mean is that there are thousands of items in a game, and if the item is maybe too small or too far away, or if the hand-painted version won’t look *that* much better for all the time it may take, then it may be ideal from the perspective of resources and/or budget not to make a heightmap in that way. It will always look best if you do, but I think that for a while now games have been heading in the direction of focusing too much on graphics, and as these things have to be funded, it is often at the expense of interesting gameplay. Oh well.. Projects with deadlines, for sure. Projects like this? Not so much. There is another side to the coin. 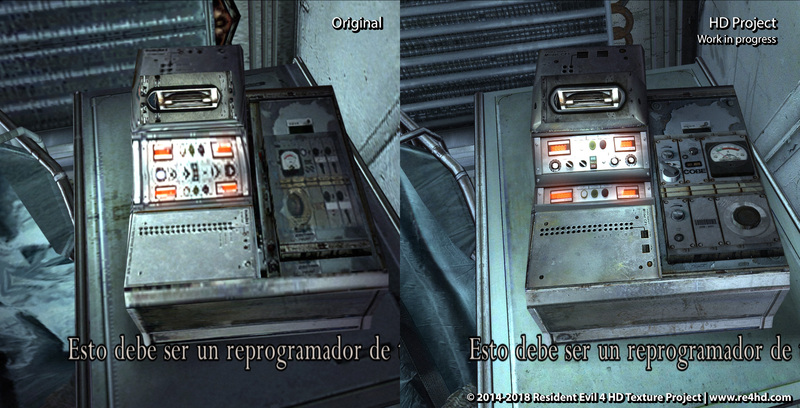 And that is how ‘better graphics’ actually ruin the art direction of the original. I think people might know which remake I’m talking about now. I was mostly talking about projects with deadlines, yes, but on projects with smaller teams, there is always fatigue and morale to consider. Albert and Cris don’t appear to have that problem, at least from their demeanour on here, but I’ve never gotten as far as they have with anything and I know I and anyone I’ve worked with have felt it to some degree. It’s true, modern graphics have done damage to art direction in the past. I’m of the mind that if done correctly, that’s avoidable, if difficult, but it happens more often than it should. I actually don’t know which remake you mean and now I’m very curious. 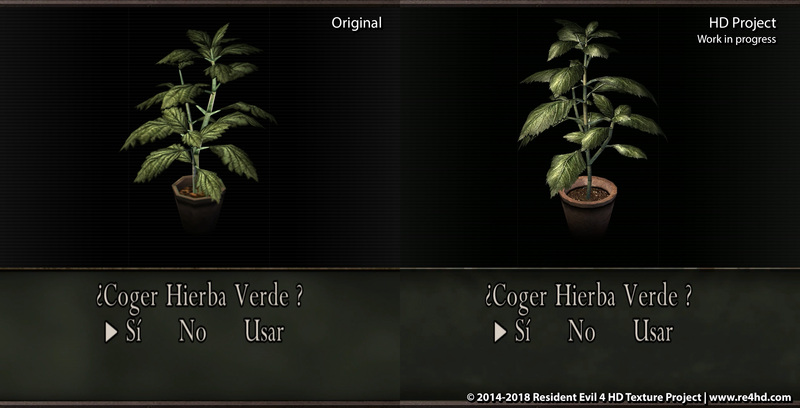 Regarding the high poly items, are you also going to give the same treatment to the Characters Leon, Ashley and Ada. They would look out of place in an HD World using dated PS2 polys and model textures. With so much work still left to do, why not recruit more modders to help carry the load ? Keep up the great work Albert (Wesker) and Cris (Redfield) !! I’ve been following this project for a long while. You and Cris have done an awesome job and its good to see the project still alive years later. I have a few questions, I apologize if some of these may have already been asked. 1. Concerning effects such as explosions, blood splatter, dust, etc etc… Visually I assume these have all have texture files that can be edited to enhance the look. For example higher resolution smoke textures during an explosion. But outside of textures I’m curious to what extent these effects can be edited? Things like smoke lasting longer on screen after an explosion (perhaps even fire effects added) or better blood splatter effects so it spreads farther or drips. Are these things possible given their file structure? 2. It was my understanding that cut-scenes were per-rendered videos that are pretty low quality. I see cut-scenes listed in the progress summary on this website under the ‘other’ section and it makes me wonder what you all were planning to do to enhance these? With it being per-rendered I assumed we would be stuck with low quality cut-scenes unless we could somehow re-record these real time with the new models/textures. 3. This is something that’s more outside the scope of the mod but do you plan to add any extra features? If you do I truly hope that you’ll consider having Son of Persia or someone that codes add a first person perspective camera. Being able to see close up the textures you’ve done and viewing the world from that perspective would just add to everything you’ve done. For example watch this https://youtu.be/F4LRjq5Z6Ng but imagine it with all the textures/models you’ve edited. I want this so bad lol. Nice job with new effects. Something came to my mind that maybe others want to ask too. In mercenaries minigame weskers character has a handgun with a silencer. Do you think its possible to put it in campain mode for pistols or even other guns???!!! Blood: Yep! I have to desaturate it a little or something else. Since we don’t know if it’s suposed to be fresh or dry blood, I’ll simply try to make its colour as close to the original as possible. 2. If number 1 is possible, would it ALSO be possible to add “moving”/”interactive” light sources to enemies that have, for example, torches and ignited arrows? I think they’d look more realistic that way. 2. It should be possible but there’s a problem: The models have a maximum ammount of light sources they can be reached by at the same time (I think it’s 4-6 lights). I’m thinking about the areas with multiple ganados with tocrches. There would be a lot of pop-in and pop-out light issues. 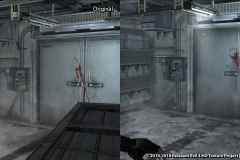 If a model (stage, character, enemy or whatever) is reached, for example, by 5 lights and a 6th light appears on scene it will make one of the other 5 lights is deactivated. Just imagine if there are more than one ganado casting extra lights simultaneously. This is just my theory. I didn’t try it yet. I’m sure about the light limitations though and I’m just assuming the lights comming from the enemies would act/react just like any other light in the game. But I’ll do some testing when the enemies remaster process arrives. Fortunately, I already know where the enemies effects are stored in and they have the same structure the stage effects have and they are editables, too. It’s somewhat confusing but now I’m talking about the effects because there’s a kind of effect that act as a light, so there’s still hope because maybe the game doesn’t count these kind light/effect as simple light sources. In other words, we have regular light sources in one hand (stored in LIT files and they are 95% of the lights in the game) and one kind of effect that also cast light in the other hand, but this one has a completely different bytes structure compared with the regular lights. The explosions and gun shots, for example, use the effect one. Interesting… I can only assume the main light source limitations are an intentional, hardcoded feature of the RE4 engine to cut down on the resources/RAM/etc. used, seeing as RE4 was originally on the GameCube and all that. I hope the alternate “gunshots/explosions” light sources work out for the torches and such. Very cool. Remember these overbright light sources in the castle? I’d imagine that flaming explosion to lit everything more intensely and more orange. I think you should definitely expiriment more with it. 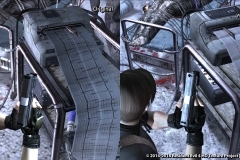 (When Ashley and Leon escape from the church, shoot that wagon, it also seems to light up dynamically. but still, I wanted to comment. 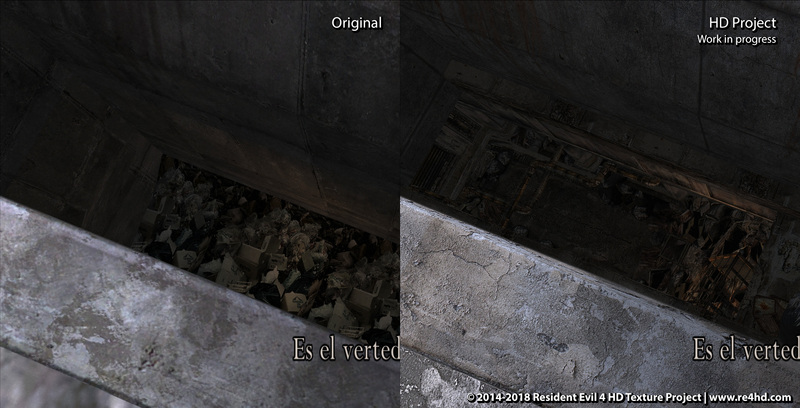 In the original the stuff surrounding the body has like a cloth (or a sack) texture, while in the remaster it looks as if it was one of the cave textures just stretched out. Awesome job with the new explosion both on lighting and the exploding fire texture itself. 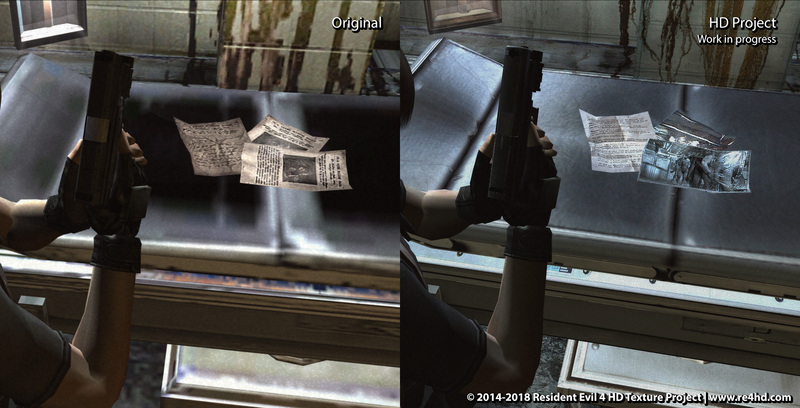 please remastered paper(note file) Similar to the original paper in original version of game!! My girlfriend and I noticed that difference and thought it was weird, and then we starting laughing because we realised Los Illuminados have their own watermark. And the other one looks like what you staple to things when you want to inform the public you’ve lost your puppy. 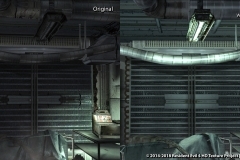 So I’m glad for the change and glad that what you see when you take the file looks more like the new version than the old one. ¡Qué bien! ¡Ahora los cofres están llenos de “patacos” de Alfonso XII! Hi Max. Bump maps are like normal maps, if you’ve heard of those. Normal maps are basically the successor to bump maps and will be used in any modern game design, whereas bump maps used to be used when we didn’t have the technology to give every object the more complex and more realistic-looking normal map. Though normal maps and bump maps do this in different ways, the general goal is the same, which is to simulate 3D depth on a 2D texture. 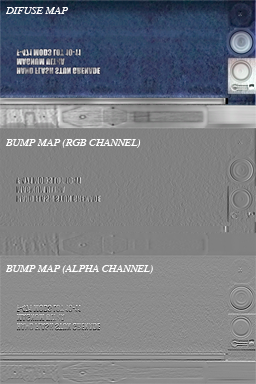 It can’t do a huge amount and look realistic, but to add some realism to the a rough surface like concrete or a cloth, you’d use a bump or normal map so that the light interacts with the 2D image as though its tiny bumps and depressions had been modelled in 3D (which they would never be in just about any game, not yet anyway, though you can look into baked normals for the closest thing that’s common). What are you going to do in this field? Any idea? Are you planning on going to school for it? Just a hobby? Trying to join a company? Game development is a huge thing with many specialities. There are a few general ones that all branch off into much smaller stuff. Cris and Albert do models and textures, mostly, but the graphic side of things has a fair few other things in it, and you could always go into programming if you wanted, among other things. Programming and animation tend to be in higher demand in my experience rarely being able to find people that do either one, so you may want to consider those if you’re undecided as yet. Hi thank you, i am planning to move to LA once i’m done with my studies and join Either Naughty dogs or Square enix and maybe i make my own video game called GRAPHIX. A game that combine PONG,NES 8-bit RPG,SNES-16 bit, PS2 fixed camera angles, PS2 dynamic camera and OTS, and ps3 and ps4 and so on and so on, and transition from 2-D to 3-D with different polygon.